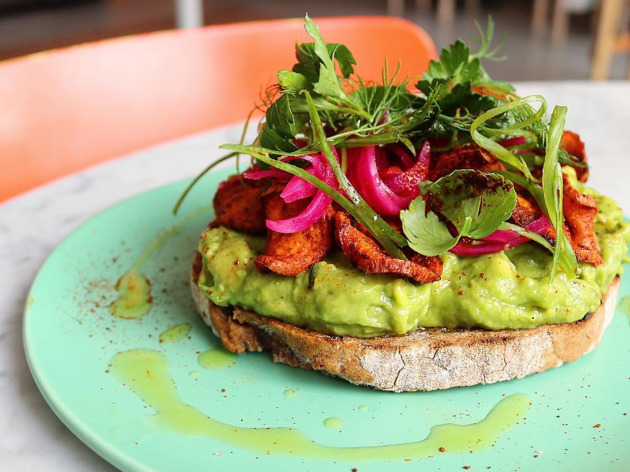 If you're going to pay someone to smash avocado on bread for you, you might as well go to a place that does it right. 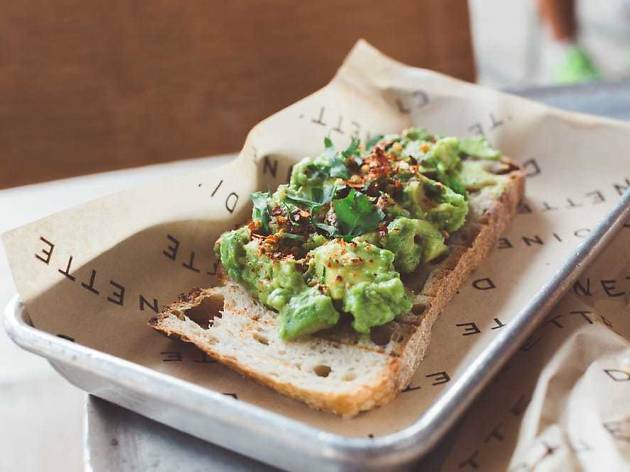 We're still obsessed with avocado toast—and if the menus of many of the best resturants in Los Angeles are any indication, so is everybody else. 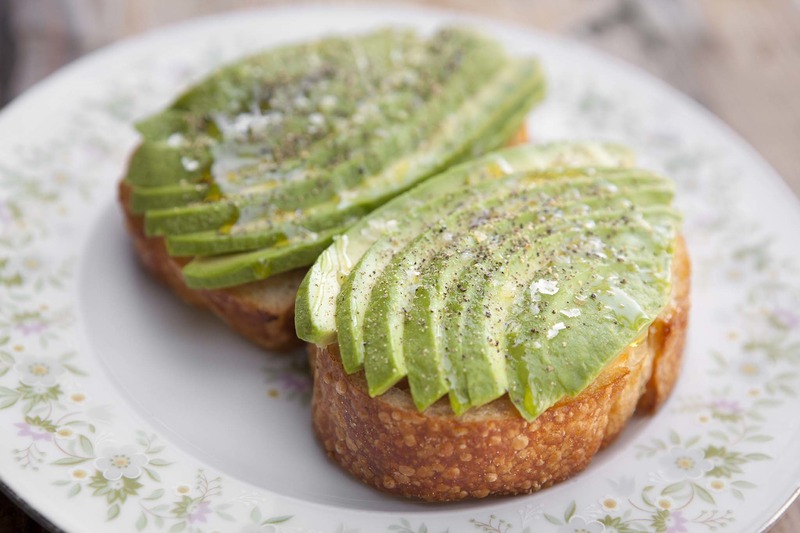 The trendy toast is more than an Instagram-worthy treat, it's a kind of testament to what makes SoCal cooking so great: simple preparation of fresh produce, presented with finesse, adding up to a casual yet oh-so-stylish dish. 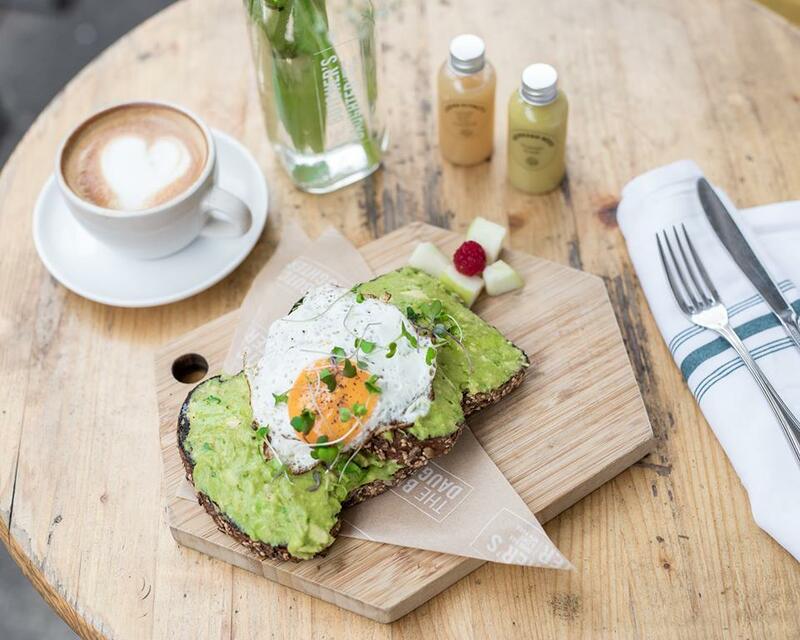 Avocado toast is also versatile, showing up everywhere from elaborate offerings at the best hotel brunch services in the city, to more grab-and-go versions at some of L.A.'s best coffee shops. Make your way to these spots and you'll see why we think they're the toast of the town. 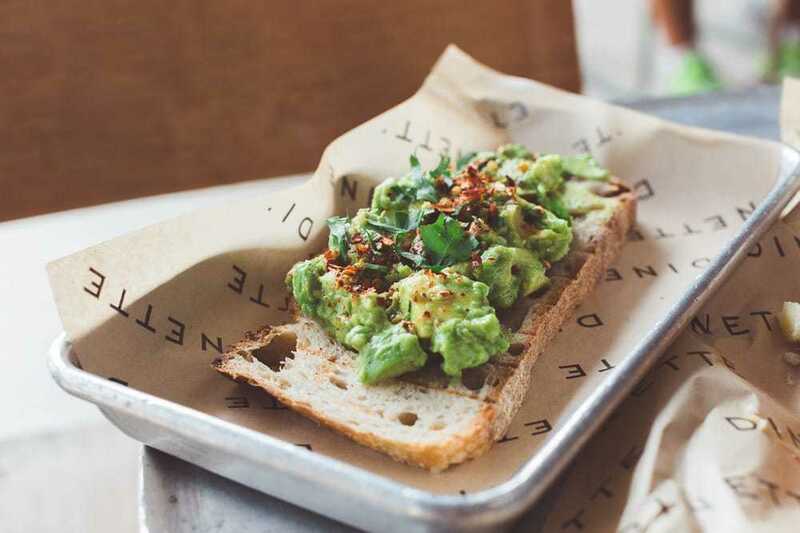 Where to find the best avocado toast in L.A.
Stop by this sidewalk cafe for a take that is heavy on the chunks of avocado, topped with a generous toss of dried pepper and large flakes of salt. Place an order at the walk-up window, take a seat at one of the open-air tables and watch the world of Echo Park go by. 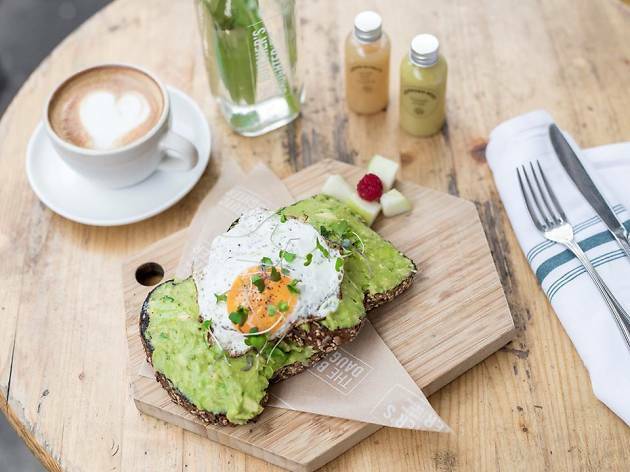 Situated right on the main drag of Abbot Kinney, the white-washed, sun filled space is the perfect place to grab a morning Vittoria coffee and smashed avocado toast, topped with a farm-fresh egg. 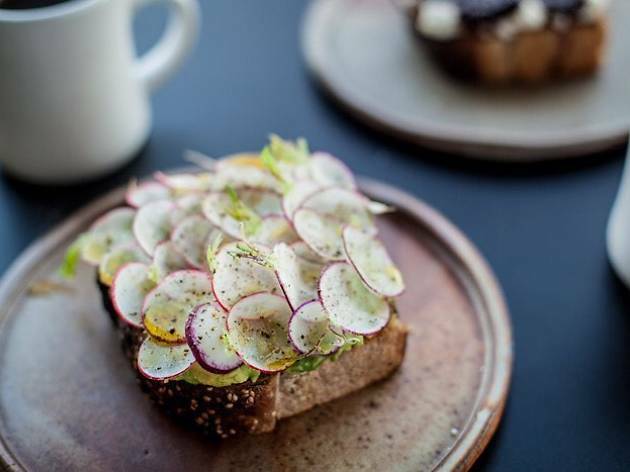 Alexander Phaneuf and Or Amsalan bring their incredible baking skills to everything they serve at Lodge Bread, so you know the toast is going to be the star of this one. 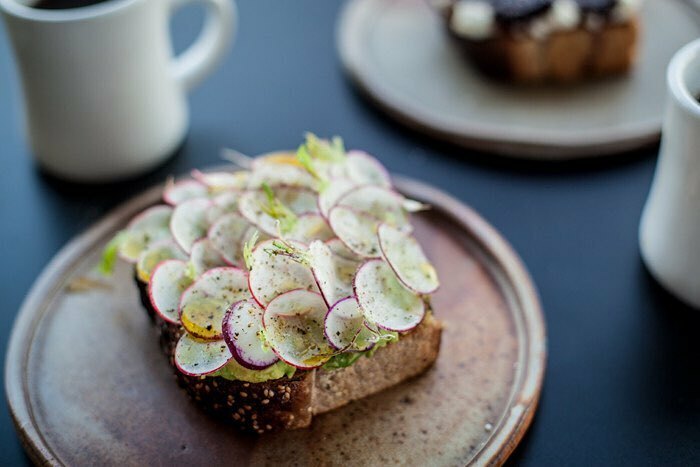 An imposingly-thick slice is topped with avocado and a beautiful array of thinly-sliced radishes. 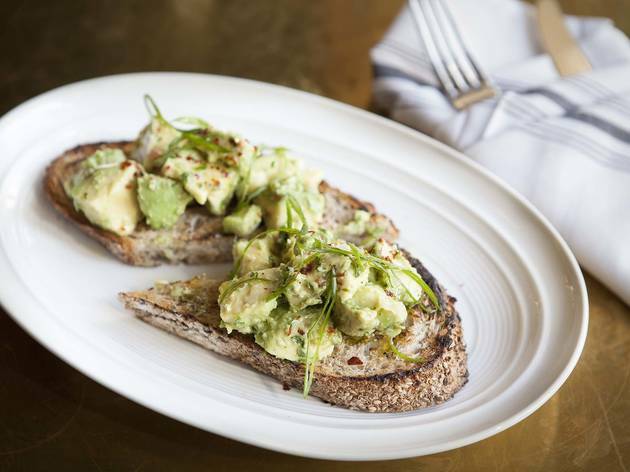 California cuisine and a love of local produce infuses the fare at Goldie's so it's no surprise they sling a mean avocado toast. A hearty wedge of grilled bread is topped with lemon, chive and smoked chili flakes. 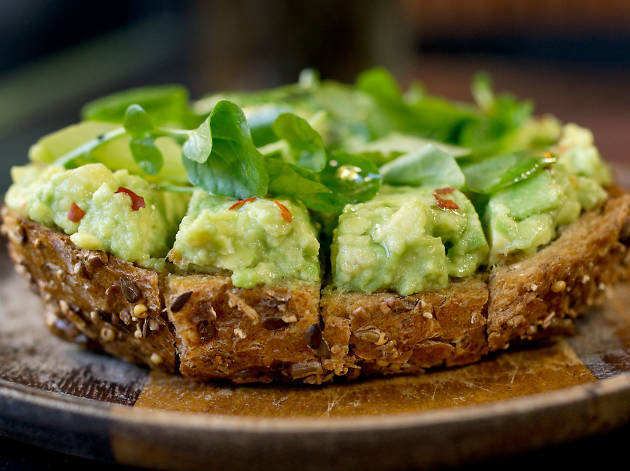 Not every avocado toast has to be a fancy production. This diner-style version is simplified, but no less satisfying. 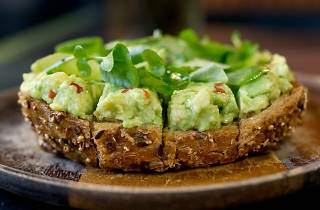 Here, a smooth spread of avocado is slapped across bread and dusted with pepper flakes, and, best of all, you can sate your cravings at almost any hour of day or night. 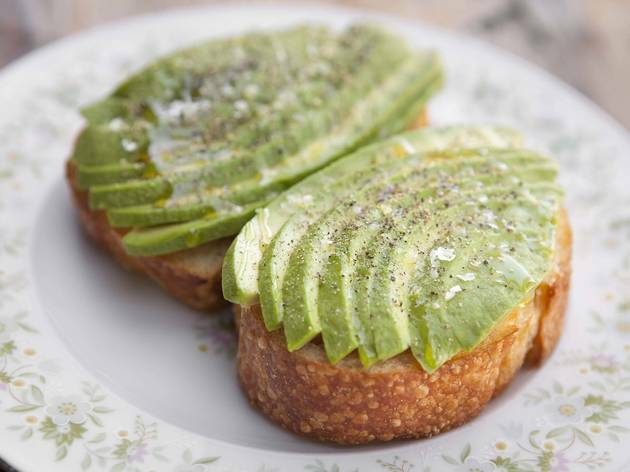 Only available on the breakfast menu, the avocado toast here is a classic. 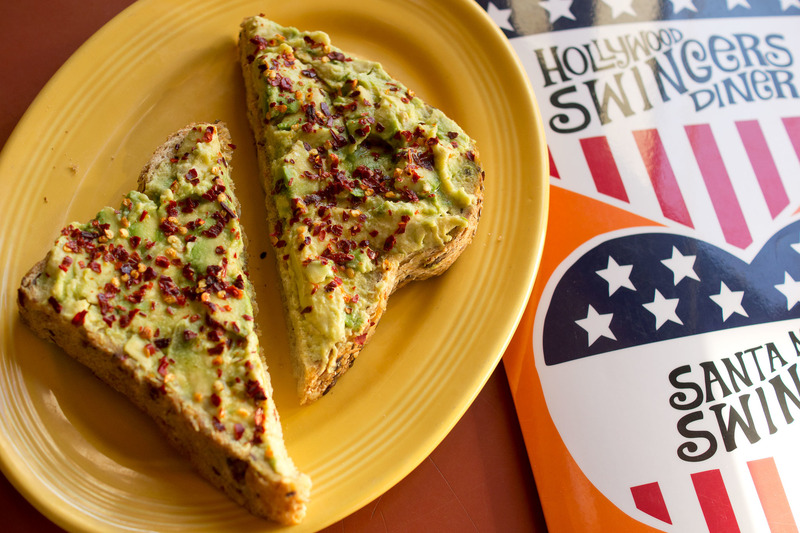 Start your day with slim slices of toasted seven-grain bread, decked out with mashed avocado, aleppo pepper and a light scattering of radish. 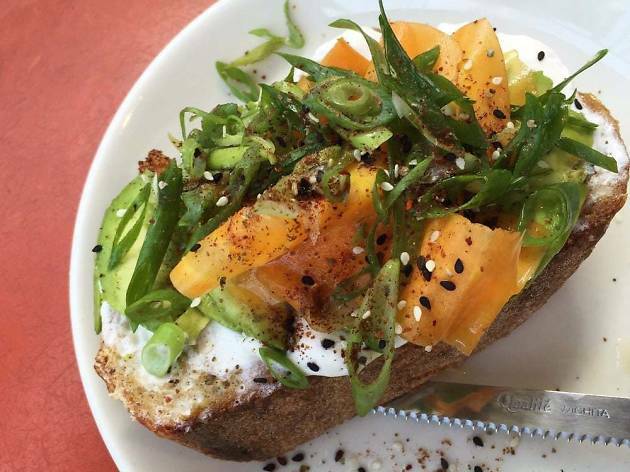 Is there any spot in L.A. more associated with fancy toast than Sqirl? 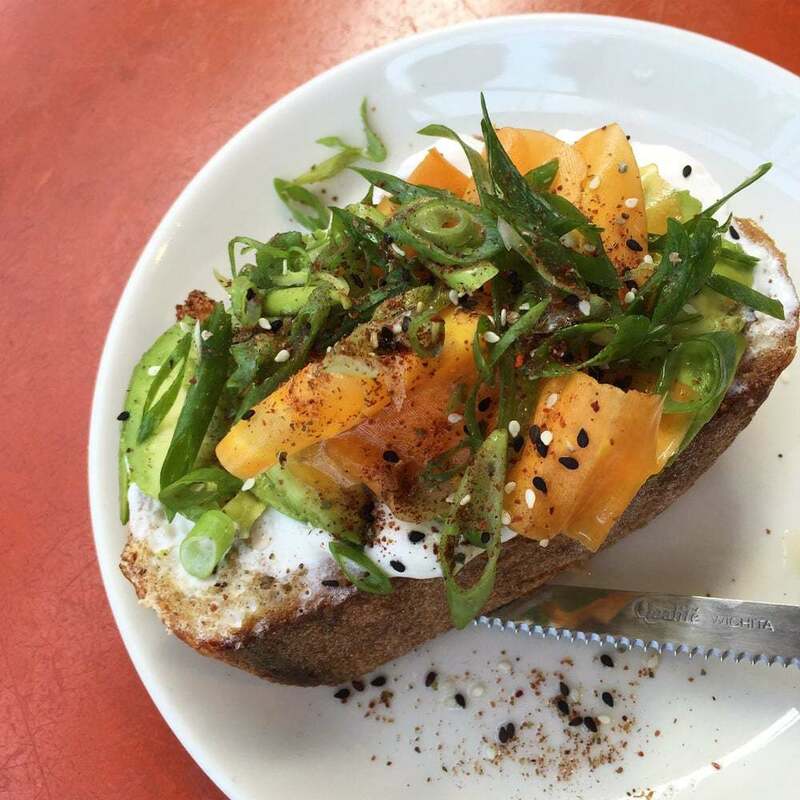 Obviously, Sqirl wouldn't stop at simply avocado on bread—here a slice of bread is piled high with avocados from JJ's Farm, hot pickled carrots, green garlic creme fraiche, wood sorrel and za'atar. 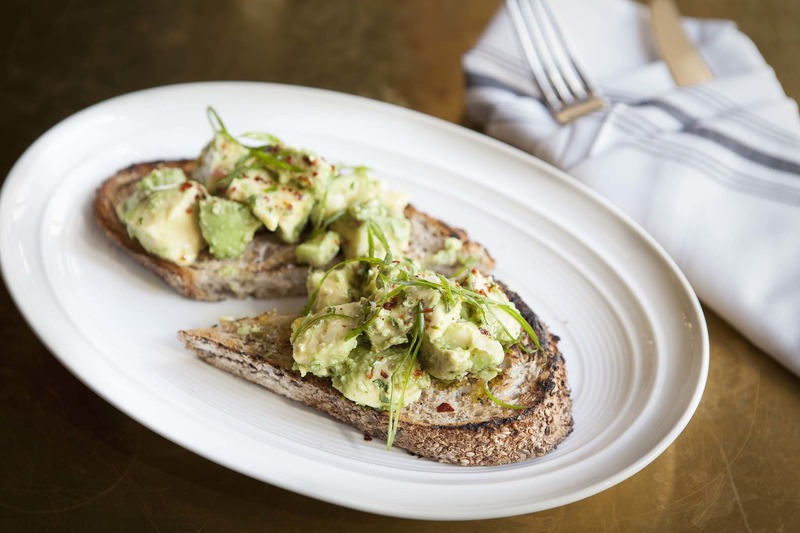 This elegantly-sliced avocado toast is a distinctly West Coast addition to the generally Southern-inspired menu at this charming resturant in the courtyard of the Palihotel in West Hollywood. Toppings can include slivered red onion and smoked black olives. 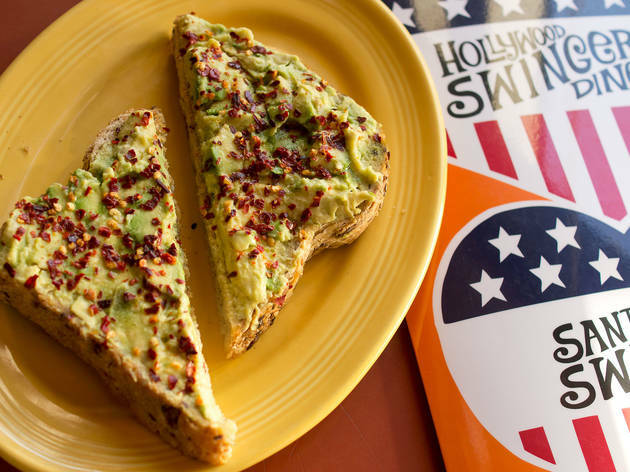 The name may sound cute-sy (it's also a Fleetwood Mac song), but Honey Hi is serious about making flavorful, healthy dishes for the Echo Park crowd; the most popular of which is their bright, colorful avocado toast (even the L.A.-lovers over at the New York Times think so). 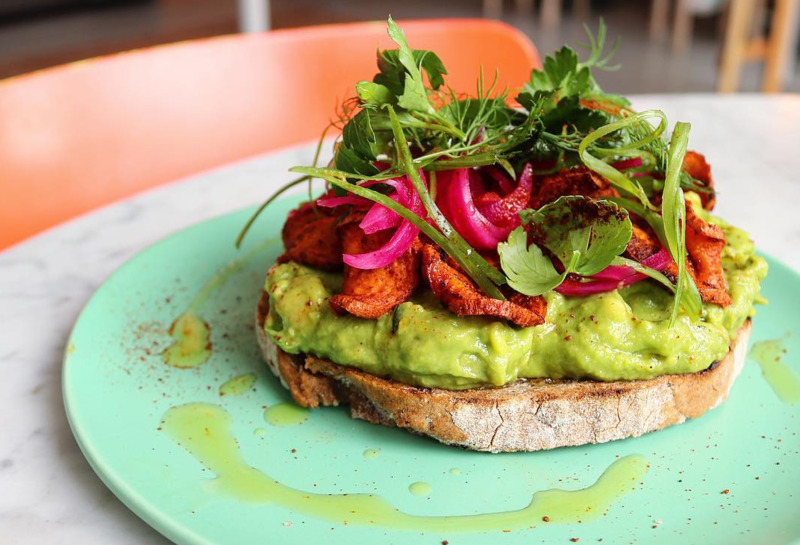 Creamy avocado tops a buckwheat sourdough, and is then piled high with sweet potato, pickled onions, scallions, parsely and lemon, and lightly dusted with sumac and smoked paprika. It's almost too pretty to eat. Want to chase your avocado toast with some green juice? 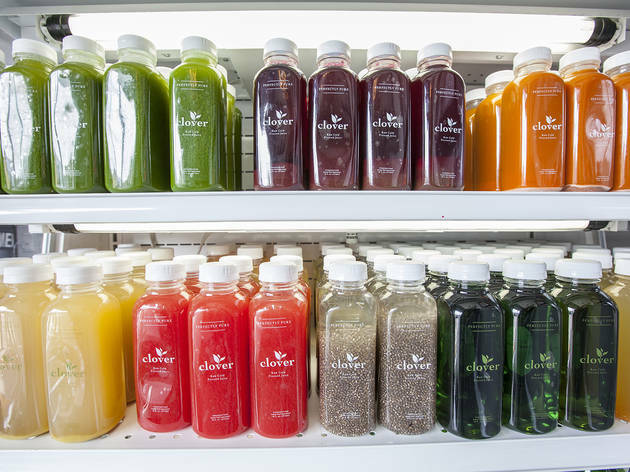 Slurp up at the best juice bars in L.A.
Juice bars are sprouting up faster than you can turn that kale into liquid green. 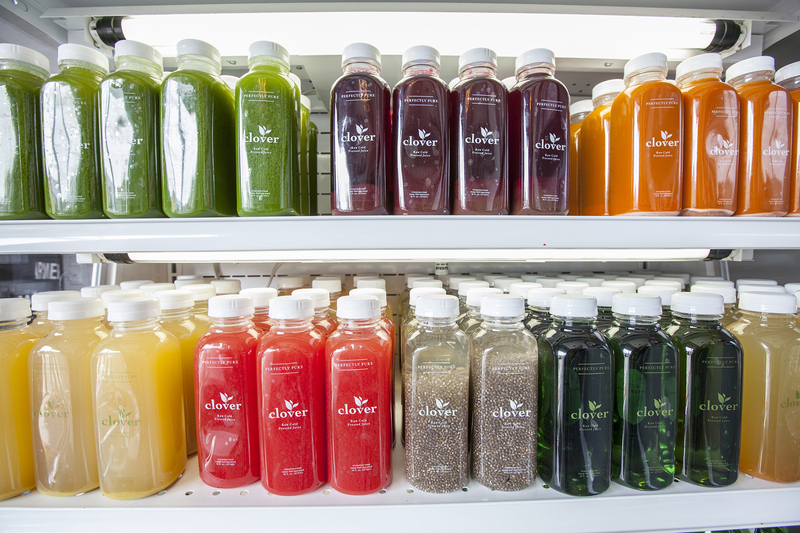 From seaside smoothies in Malibu to raw juices in Hollywood, check out the best juice bars in L.A.